With the countdown to pitchers and catchers reporting now being under a month (February 18th) and one of the biggest free agents finally landing his record breaking deal (Max Scherzer), I would say that now is better than ever to take a look back at the always fun and exciting Hot Stove Season. It’s hard to imagine in an offseason that saw the Red Sox land not one but two marquee free agents (Pablo Sandoval and Hanley Ramirez) that we would be discussing a more surprising signing, but here we are. Although not made by the Red Sox per se, the biggest free agent splash did involve two of their former employees. 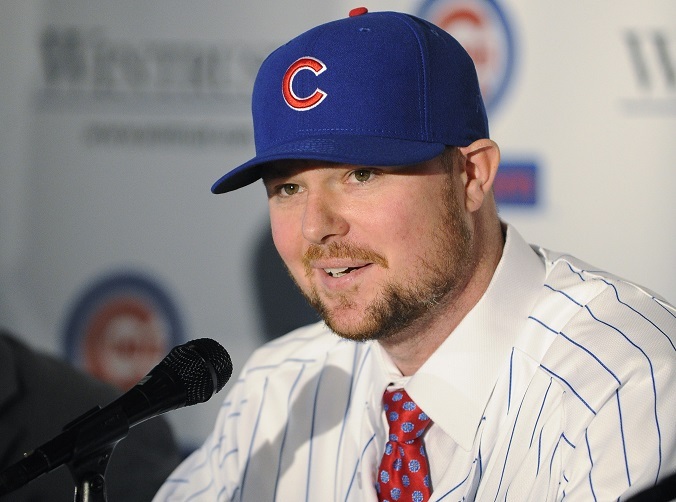 The signing of Jon Lester by the Chicago Cubs has to be the most surprising move because of what it signifies for the game; the Cubs are ready to contend again. Since Theo Epstein took over as President of the Cubs back in October 2011, he has done a great job of trading away everyday players for prospects, all while filling the Cubs minor leagues with high draft picks and international free agents. And now it looks like those moves are poised to pay off perhaps as soon as 2015. With top prospects Kris Bryant, Javier Baez, Addison Russell and Jorge Soler looking to crack the everyday lineup and join offensive threats like Anthony Rizzo and Starlin Castro, the Cubs could be a team on the rise this season. The Lester signing shows that the Cubs know that they are close and are now willing to be spenders opposed to sellers. More so, the Cubs are not afraid to gamble and spend on the big name free agents, opposed to picking up place holders and temporary solutions to long term problems. Realistically, the Cubs are probably still at least one season away from truly challenging for a Wild Card berth, let alone the NL Central. But the Lester signing now offers the Cubs a legitimate ace to anchor their rotation and allow them to be competitive while they wait for the fruits of their farm system to pay off. Let’s be honest here, baseball is ALWAYS more fun and interesting when the Cubbies are good. As fun as it is to see the big name free agents changing teams and landing their proverbial paydays, the real joy of the Hot Stove season are the trades. There are few things that amuse this guy more than imagining a bunch of MLB GM’s tossing around hypothetical trades at the Winter Meetings like it’s a rotisserie league. And that’s exactly what happened this offseason. This trade is shocking for a few reasons. 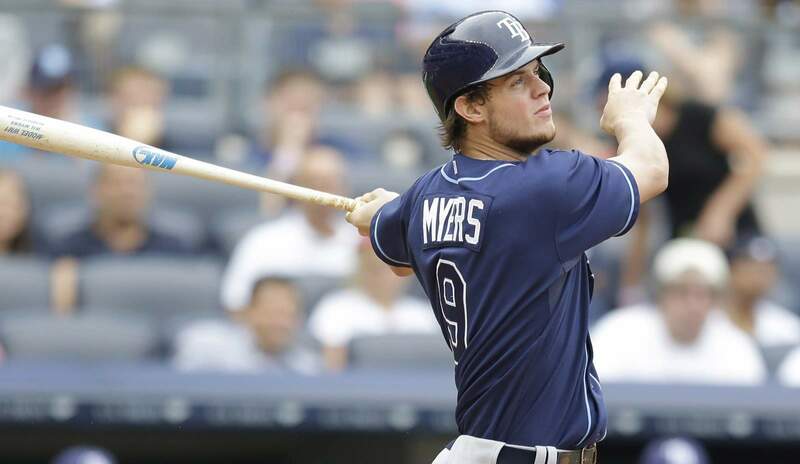 The biggest reason is the fact that the Rays were willing to move Wil Myers in the first place. Sure the kid had a down year in 2014 (.222/6/35 in 325 AB compared to .293/13/53 in 335 AB in 2013) but for the Rays to give up on someone who wont be 25 until the end of the 2015 season just for one bad season is completely absurd. 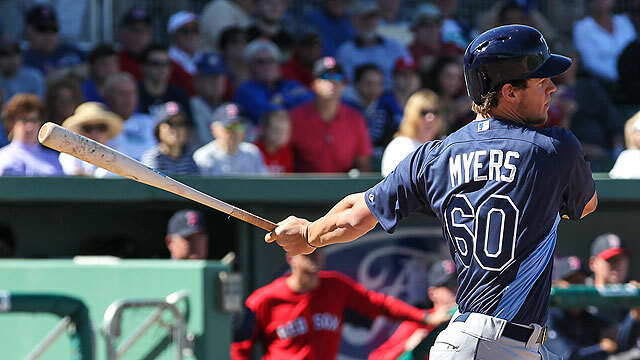 I would argue that 2014 was probably the first time in his entire playing career (amateur or pro) that Myers struggled as badly as he did, and rather than see how he would rebound in 2015, the Rays were more willing to give up on him. What also makes this shocking is the fact that the Rays didn’t even get a good haul in return for Myers. When the Rays landed Myers and prospects from the Royals for James Shields and Wade Davis, the consensus from the MLB world was that the Rays had stolen Myers from the Royals. This year the Royals made it to the Game 7 of the World Series thanks to James Shields and Wade Davis, meanwhile the Rays flipped Wil Myers for essentially Steven Souza, Burch Smith and Rene Rivera. Nothing against those guys, but none of them have the ceiling that Wil Myers has. Even more astounding is the fact that the Nationals got a better return for losing Souza (Turner and Ross) than the Rays got for Myers. I have to assume that if Andrew Friedman was still in charge in Tampa, this is a move that does not get made. It’s hard not to like the moves made by Ben Cherington and the Red Sox. This offseason alone he has brought in free agents Pablo Sandoval and Hanley Ramirez and traded to bring in pitchers Wade Miley and Rick Porcello. The Marlins made a handful of additions (Mat Latos, Dee Gordon, Martin Prado and Mike Morse) in the hopes of capitalizing in a weak NL East. Even the lowly Astros made some nice moves in the hopes of just securing a winnind season (Luke Gregerson, Pat Neshek, Jed Lowrie, Evan Gattis and Dan Straily). 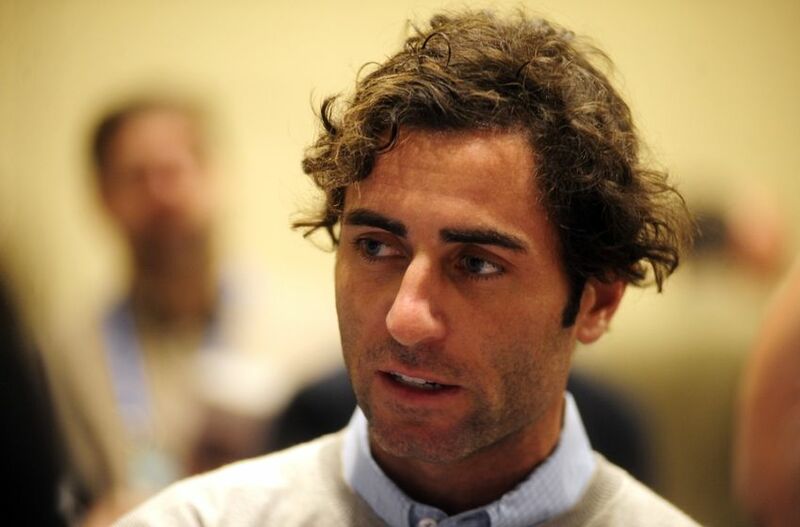 With that being said, the clear cut winner of the offseason has been the San Diego Padres and their new GM, AJ Preller. The Padres have not only been cellar dwellers for the better part of the past decade but they have also been unable to parlay any of their high draft picks into serviceable everyday players, let alone all stars. Because of this, the Padres have fielded one of the worst offensive lineups in recent history. This offseason, Preller looked to change all of that overnight. 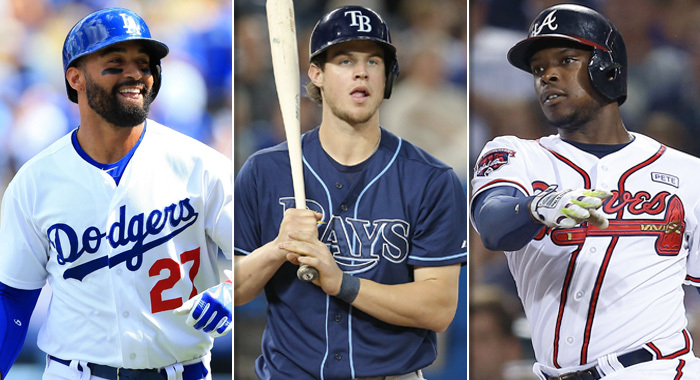 Since the middle of December, the Padres have added the likes of Wil Myers, Matt Kemp, Justin Upton, Derek Norris and Will Middlebrooks, while only losing one everyday player (Yasmani Grandal), two high ceiling prospects (Trea Turner and Max Fried) and a handful of fringe prospects and depth players. What is truly amazing is the fact that the Padres were able to make the above additions without having to part with any of their big three starting pitchers (Andrew Cashner, Tyson Ross and Ian Kennedy) or their top prospect, C Austin Hedges. In addition to the above “big” moves, the Padres also added some nice pitching depth with the signings of Brandon Morrow and Josh Johnson, and the addition of Brandon Maurer from Seattle for Seth Smith. 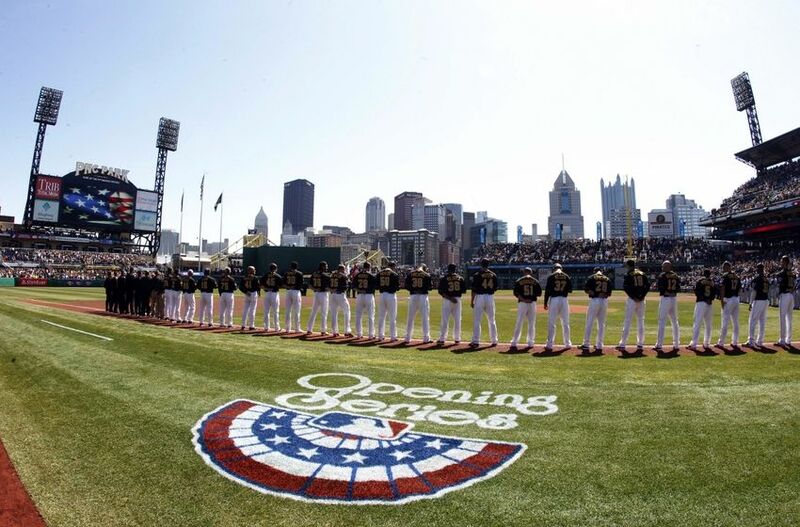 There are no guarantees that the above moves will ensure an NL West crown or even a playoff berth, but it definitely gives the Padres a better chance at making a run for the post season. At worse, they will sure be entertaining to watch. For a minute their it looked like Billy Beane and the A’s were going to be the ones to go home with this title. In the span of a few weeks, the A’s had traded away Josh Donaldson, Brandon Moss, Derek Norris and Jeff Samardzijia and only brought in Billy “Country Breakfast” Butler as a replacement; it seemed that the A’s were going into a rebuild. But then Billy Beane did Billy Beane things and flipped prospects and catching depth to the Rays for Ben Zobrist and Yunel Escobar, then subsequently flipped Escobar to the Nationals for Tyler Clippard. All of a sudden this rebuild went to a retooling and Beane and the A’s no longer were in running for loser of the offseason. Instead that title has now been handed off to the Baltimore Orioles. It’s funny that in an offseason that saw the Rays lose their coach, GM and one of it’s best players, the Orioles still come out as a bigger loser. To date, the Orioles have lost 2/3 of their everyday outfield (Nelson Cruz and Nick Markakis), their everyday catcher (Matt Wieters) is coming off of Tommy John surgery, their promising 3B (Manny Machado) still looks to be suffering from the effects of the knee he tore up in 2013 and Crush Davis is coming off of a dismal season that was marred by an ugly 25 game suspension for PED’s. 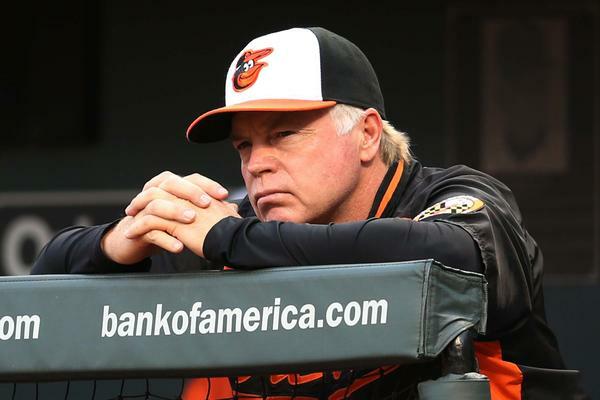 What makes things worse is that the Orioles have done nothing to replace their departed outfielders, nor have they addressed issues with their bullpen, rotation and bench. Right now the best available free agent outfielder is Colby Rasmus and after that the list drops off considerably. The Orioles stalling has caused them to miss out on Melky Cabrera, Nori Aoki and Mike Morse; even Torii Hunter would be looking pretty good right about now. 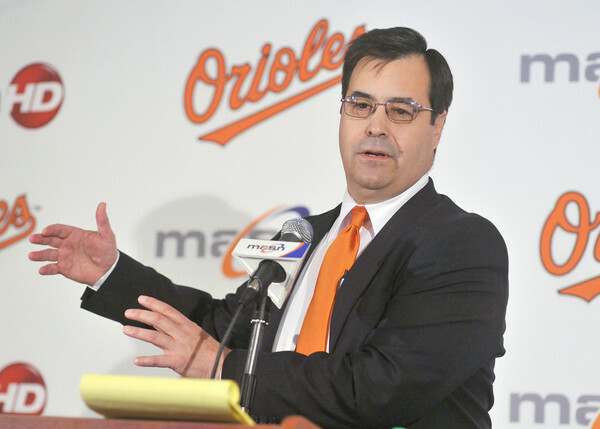 Another interesting Orioles storyline to follow in the coming weeks will be the future of GM Dan Duquette who has been rumoured to be attached to the Blue Jays Presidency. Duquette is under contract through 2018 and the Jays would have to give the Orioles compensation for hiring Duquette away. The big question though will be whether Orioles owner, Peter Angelos, allows Duquette to leave. Stay tuned for more Hot Stove season rumblings and rants….